Information about Paulus Horvath van Horne’s Junior Recital in accordance with Oberlin Conservatory TIMARA department degree requirements. The recital was titled What’s He Building In There? 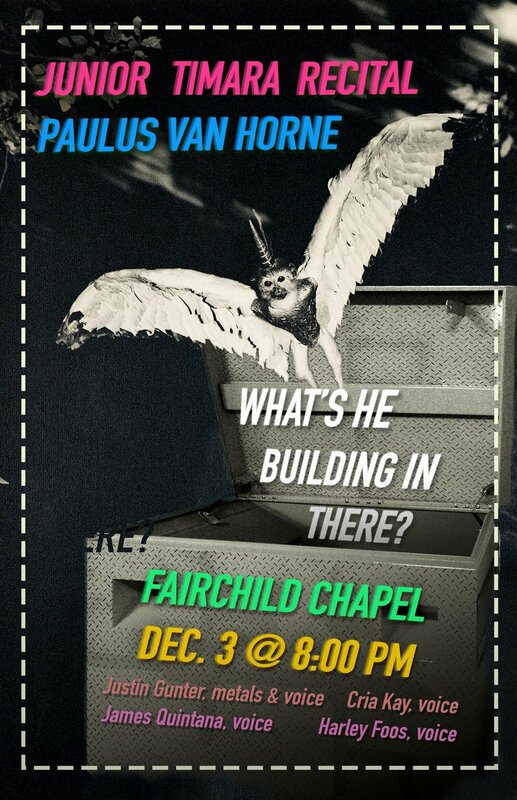 and took place in Fairchild Chapel (Oberlin, OH). The recording consists of an excerpt of the pre-show field recording composition followed by a highly-structured improvisatory voice & bass performance. The ensemble included Justin Gunter (metals & voice), Cria Kay (voice), Harley Foos (voice) and Eve Quintana (voice).